Did the Cowboys’ Signing of Greg Hardy Go Against Their Free Agent Philosophy? 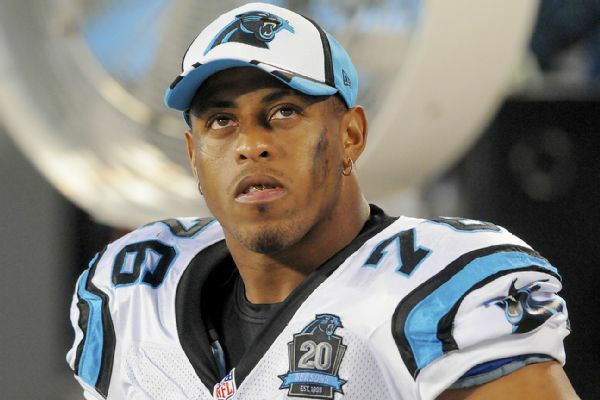 The Dallas Cowboys finally made a splash in this year’s free agency period with the signing of former Carolina Panthers’ defensive end Greg Hardy. The Hardy signing comes just five days after the Cowboys decided to let running back DeMarco Murray bolt to the division rival Philadelphia Eagles because they needed to remain financially prudent with the salary cap as they targeted areas of need for the upcoming season. The Cowboys were not willing to match or even come close to the Eagles’ offer to Murray of five years for 42 million dollars with 21 million guaranteed. The best offer the Cowboys presented to Murray was four years for 24 million with only 12 million guaranteed. This would lead one to believe that the Cowboys were going to remain financially prudent in the signing of their own free agents as well as those from other teams. Well, I would not consider Hardy’s contract to be financially prudent. Hardy’s contract is a one-year deal for 11.3 million with incentives that can make the contract 13.1 million. This offer is a complete slap-in-the-face to the departed Murray who should gain extra motivation to perform against the Cowboys after being slighted. Dez Bryant was slapped with the franchise tag this year which brings him a salary of 12.823 million dollars. What kind of message are the Jones’, team owner Jerry and his son Stephen, sending to his team and DeMarco Murray by providing Hardy with a contract that could be second highest on the team behind franchise quarterback Tony Romo who is scheduled to count 27 million against the cap. Hardy only played Week 1 last year after being placed on the Commissioner’s Exemption List pending a jury trial where Hardy was accused of domestic violence against his former girlfriend in May 2014. The case against Hardy was dismissed because his former girlfriend refused to cooperate with the District Attorney’s Office after she reached a financial settlement with Hardy. The newest Cowboy remains on the Commissioner’s Exemption List and must request to be removed by NFL Commissioner Roger Goodell. There is speculation Hardy can still be suspended anywhere from one to six games after the league investigates whether he violated their domestic violence policy. Don’t get me wrong. From a football standpoint, Hardy improves the Cowboys’ defense. He is strong against the run and a proven NFL pass rusher with 26 sacks in his last two full seasons. To put that in perspective, the Cowboys’ improved 2014 defense only was able to accumulate 28 sacks as a team. Pairing Hardy up with 2014 second round pick DeMarcus Lawrence should provide a huge jolt in team sacks in the upcoming season. My worry is that team chemistry will be disrupted with Hardy’s signing such a huge contract coming off a year where he was in trouble with the law. It has been highly-publicized that Cowboys’ Coach Jason Garrett, Bryant, Romo, tight end Jason Witten, and members of the offensive line all wanted Murray to return to the team. They believed he was a special runner who did not have a career year simply because of the Cowboys’ dominant offensive line. The Jones family obviously thinks otherwise and that they can use a running back by committee approach and plug in Joseph Randle, newly signed Darren McFadden, and a potential drafted rookie running back to attempt to mirror Murray’s league-leading rushing numbers from last season. Whether Murray’s success was due mainly to the Cowboys’ offensive line remains to be seen. What I do know is the Cowboys had less than 4 million left under the salary cap before signing Hardy which means they borrowed from Peter to pay Paul. The team has been reluctant to rework Romo’s cap hit this year for fear of decreasing available cap space for future years, but they must have lowered Romo’s cap number to “pay” Hardy. It looks like Jerry refused to spend this free agent season without a big splash despite Hardy’s signing conflicting with the Cowboys’ free agent philosophy of the past two years. He also seems to be reverting back to his ways of bringing in players with questionable character as long as they can play. Our society allows things like this to happen all the time. You do your job and you stay status quo or, in Murray’s case, are not valued like you should be. Screw up like Hardy and you get a promotion or a “fat” contract. Wow. I know a lot about football but I did not know he was in the midst of this domestic violence. That doesn’t make me happy. His deal is way to ‘giving’ persay.